We partner and integrate with other companies to provide innovative client solutions. Local Measure’s integrations with Cisco products allows businesses to receive real-time customer intelligence, analytics and insights, whenever customers are in-venue. The powerful combination of Cisco’s core products and Local Measure’s intelligence layer gives businesses the ability to better understand, engage and acquire customers. Our integration with Salesforce allows you to connect in-store experiences with your CRM. Customer insights are generated through Cisco Wi-Fi sign-on and social data to create profiles that can be integrated directly into the Salesforce Customer Contact to drive real-time insights and marketing automation. IBM’s powerful intelligence and engagement capabilities coupled with Local Measure’s social, wireless and survey capabilities forms a powerful, unified customer profile. The data provided can ultimately be leveraged to help optimize engagement through Watson Campaign Automation and other IBM Watson Customer Engagement solutions. The Instagram Partner Program distinguishes companies with the capabilities to run effective advertising campaigns, manage communities, or source and deliver content on Instagram. Local Measure has been badged a Partner in Community Management for our success and commitment in enabling global brands to uncover real-time local customer insights. Facebook considers Local Measure to be a market-leading platform for major media companies, leagues and teams, and public figures. As a Facebook Media Solutions partner, Local Measure has access to a specialized set of Facebook data which we aggregate, display, and analyze. 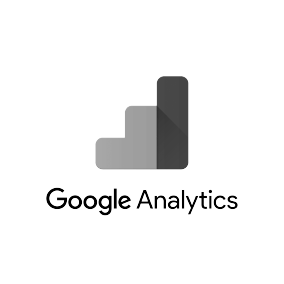 Our integration with Google Analytics allows clients to track user journeys initiated through online content galleries created with Local Measure. Clients can see which images users are interacting with and analyze the content that is driving traffic and conversions. Our technology integration with WordPress makes it quick and easy for clients of both platforms publish content from Local Measure to their digital properties. By installing the Local Measure plugin, WordPress users can embed user-generated content galleries from our platform into their CMS with a single click. Local Measure’s technology integration with Hootsuite allows clients to easily publish social content from their customers directly to Hootsuite with the click of a button. Many businesses use Local Measure in conjunction with Hootsuite to monitor and manage customer feedback across various social platforms. Provide a more streamlined and fluid experience for your users with an integration into Local Measure’s platform. We believe the most powerful technology is open and connected, and are always looking for ways to create the best possible user experience.